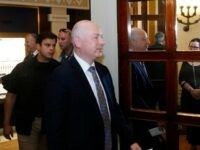 TEL AVIV – Prime Minister Benjamin Netanyahu on Monday called Ukraine’s newly elected president Volodymyr Zelensky and extended an invitation to him to visit Israel. 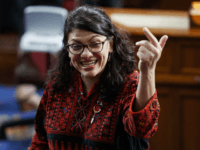 TEL AVIV – A Republican lawmaker is trying to stop fellow congresswoman Rashida Tlaib from leading a taxpayer-funded congressional trip to the West Bank. 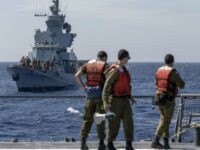 TEL AVIV – Israel will join an international coalition to thwart any more attempts by Iran to block a key waterway in the region, Prime Minister Benjamin Netanyahu warned on Wednesday, after Iranian proxies last week launched an attack on two Saudi oil tankers sailing through the narrow strait. 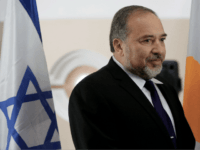 TEL AVIV – Defense Minister Avigdor Liberman on Sunday slammed calls for a probe into the death of a Palestinian photojournalist during the mass protests on the border with Gaza, saying that Hamas terrorists often disguised themselves as journalists. 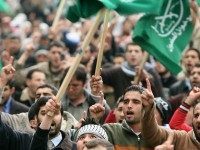 In a first, Hamas security forces arrested terrorists from the Al Aqsa Martyrs’ Brigades, the so-called military wing of Palestinian Authority President Mahmoud Fatah’s party, who are suspected of firing rockets from Gaza at Israel, a member of the Brigades told Breitbart Jerusalem. 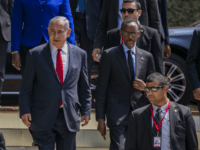 Israel is opening a new embassy in Kigali, Rwanda, and is weighing direct commercial flights to the East African country, Prime Minister Benjamin Netanyahu announced Tuesday. 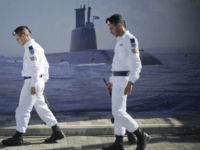 Israel has reportedly banned Swiss officials from entering the Gaza Strip from its territory following a series of meetings between representatives of the European country and Hamas leaders. 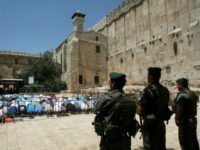 Border guards arrested a Palestinian teenager on Monday morning, as he tried to dodge security at a checkpoint leading to the Tomb of the Patriarchs in the West Bank city of Hebron, police said. 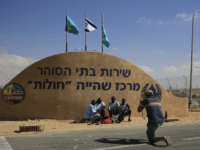 Rwanda’s Foreign Minister Louise Mushikiwabo on Thursday confirmed recent reports that the country is in talks to take in illegal African migrants currently residing in Israel. 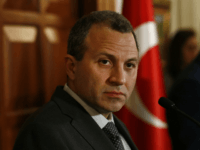 Lebanon will emerge victorious in any future conflict with Israel, the Cedar Republic’s foreign minister, Gebran Bassil, claimed in an interview published on Friday. 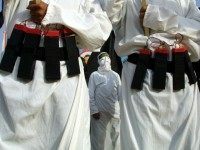 TEL AVIV – An Israeli widow met with White House officials to express her dismay that the family of her husband’s murderer – who also killed two other relatives at their Shabbat table in July – would begin receiving a monthly stipend from the Palestinian Authority as a reward for carrying out the terror attack. 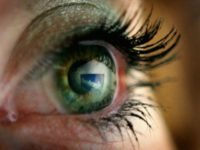 Global internet giants Google and Facebook can expect to receive a comprehensive tax bill from Israel within the next 12 months, according to a report in the financial newspaper TheMarker. 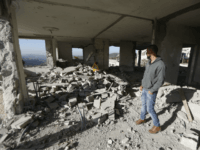 The Israeli military says it has demolished the West Bank home of a Palestinian who shot and killed three Israeli security men in September. 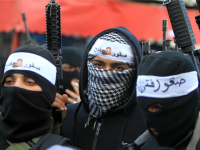 The Palestinian Islamic Jihad on Sunday said Israeli threats against the terror group’s leaders constituted “an act of war” and vowed to continue to try to carry out a revenge attack against Israel. 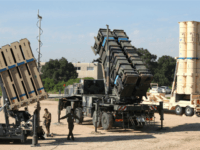 The IDF launched a Patriot missile on Saturday, which successfully intercepted an unmanned aerial vehicle (UAV) coming from Syria approaching Israeli airspace near the Golan Heights border. 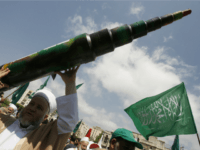 The Patriot was launched from the area surrounding the northern city of ​​Safed, with residents of the area reportedly hearing explosions. 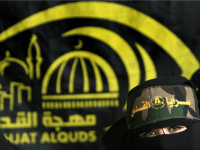 TEL AVIV — The weapons of the “resistance” in the hands of various Palestinian jihadi organizations is an internal Palestinian issue, Fatah official Iyad Nasser told Breitbart Jerusalem in wake of recent escalation in the Gaza Strip. Palestinian children commit terrorist attacks and acts of random violence against Israel so they can increase their social standing. 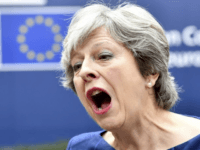 TEL AVIV – Palestinian Authority Mahmoud Abbas’ Fatah party published a cartoon depicting British Prime Minister Theresa May as a “Jewish pig” with the text “child killers,” in response to her declaration saying that Britain was proud of its role in establishing the State of Israel. 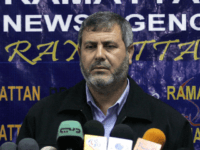 Senior Palestinian Islamic Jihad leader Khaled al-Batsh said Tuesday that the attack tunnel stretching from Gaza into Israeli territory that was blown up by the IDF the previous day had been built by his group for the purpose of kidnapping Israeli soldiers. 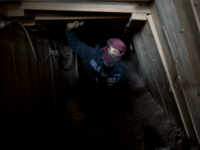 A Hamas leader on Tuesday promised revenge — but not immediately — for the deaths of seven Palestinians when Israel blew up an attack tunnel that stretched into its territory. 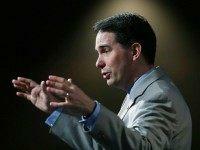 Wisconsin Governor Scott Walker issued an executive order last Friday to ban state agencies from engaging with businesses with ties to the anti-Israel BDS movement. 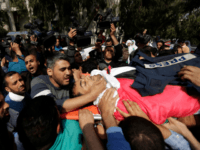 WASHINGTON — US Ambassador to the United Nations Nikki Haley excoriated a UN official on Friday who urged economic sanctions against Israel and who released a report calling on increased international pressure to end Israel’s “illegal occupation” of the Palestinian territories. 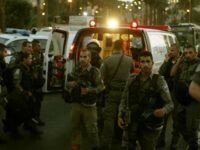 Two Palestinians who allegedly stabbed to death Reuven Schmerling in the Israeli city of Kafr Qassem earlier this month were motivated by a desire to “avenge” their friend, who had been killed while attempting to carry out a stabbing attack in 2015, the Shin Bet security service said. 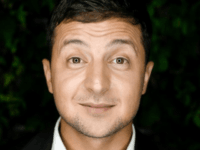 A leading Syrian opposition figure has warned of an Iranian takeover of the Middle East, facilitated by the inability of Western policymakers to understand the shifting dynamics in the region, especially with regard to their potential impact upon the State of Israel. 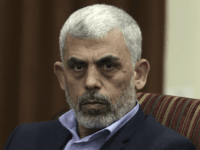 TEL AVIV — Hamas is treating the issue of reconciliation with the Fatah movement and the Palestinian Authority as a strategic one, according to the organization’s Gaza chief, Yahya Sinwar, who added during a meeting with unions in Gaza that divisions will not be allowed to continue. 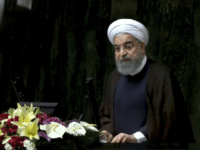 An Israeli judoka won a gold medal on Thursday at the Abu Dhabi Grand Slam judo tournament, but was forced to celebrate his victory under the International Judo Federation’s flag due to a ban by the emirate on the display of Israeli symbols.